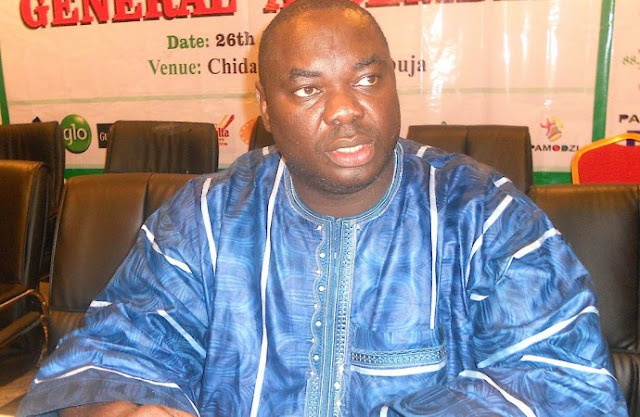 Confederation of African Football, CAF, has slammed a five-year ban on embattled Chris Giwa and four four of his disciples thereby confirming and extending the same five-year ban placed on them by the Amaju Pinnick- led Nigeria Football Federation. The four others affected by the continental ban are Muazu Suleyman, Yahaya Adama, Sani Fema and Johnson Effiong. In a letter signed by CAF’s Secretary -General, Hicham El Amrani and dated May 27th 2016 and copied to NFF’s President Amaju Pinnick, the letter stated that the ban forbids them from all football related activities for 5 years. Dear President, Following your previous correspondence dated May 16th and subsequent exchanges, CAF has well noted the decision of the NFF’s Disciplinary Committee dated May 12th placing five(5) year ban from all football related activities for the following people. 1. Christopher Giwa 2. Muazu Suleyman 3. Yahaya Adama 4. Sani Fema 5. Johnson Effiong Following receipt of the documentation and details on the case, CAF hereby confirms the extension of such sanctions at the continental level. Please accept, dear President, our most sincere regards.